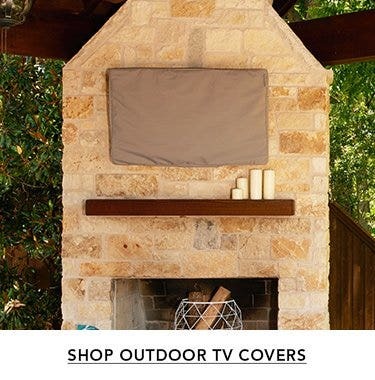 Coverstore is proud to offer covers for Weber Grills! 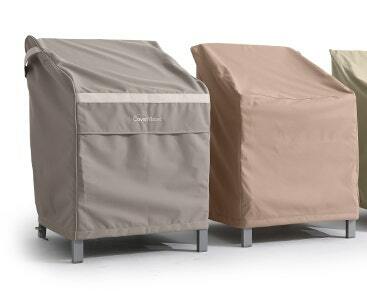 Covermates Classic Collection covers are designed to fit most Weber BBQ Grills. 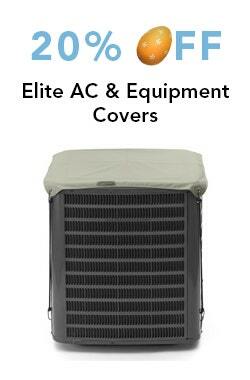 With various sizes available to choose from chances are you’ll find the perfect cover for your grill model. 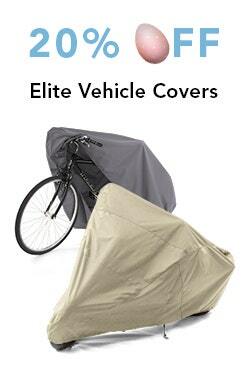 Our Covermates Ultima cover is made from a lightweight solution dyed 300-Denier polyester which makes it easy to take off and on, while providing the utmost protection to your grill from harsh UV rays and water. 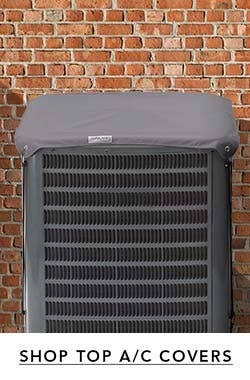 The top handles provide an easy solution to installing and removing the grill cover. The secure buckle straps, at the side and in the middle of the cover, keeps the cover secure even in the windiest of conditions. 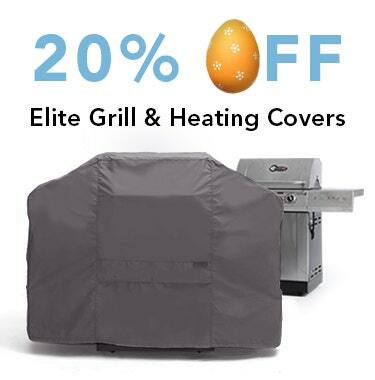 The Covermates Ultima grill cover also has a covered breathing vent to allow air to circulate while still blocking moisture from getting to your grill. 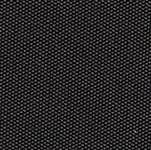 The top and front panels of the cover are lined with fleece to protect your grill's hood and controls from scratches and dings. NOTE: Fleece was only added to the top panels to avoid rodents from nesting. 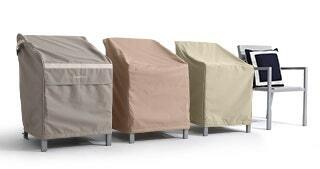 We are confident that our Covermates Ultima covers for Weber Grills will provide the best protection for your grill that it comes backed with an industry leading 7-year manufacturer’s warranty. The cover was a perfect fit for my grill. Attractive and lightweight. The cover is nice and roomy. 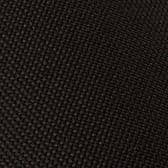 Very high quality material with vents. Glad we bought it. Delivered quickly. Fits the grill. Seems like it will last a while. I am happy with the cover. Just got my 64 inch grill cover and it appears just as advertised! The quality of the cover is much better than my $35 original cover! It is obviously too soon to tell whether it will last 7 years or longer, but I am very impressed with the quality and workmanship! While I was initially reluctant to spend $75 on a grill cover, I am glad I did as I believe I got more than my money's worth!!! Can only comment on the summer wear, so far happy with the cover and plastic snap locks. Like the concept of the strap underneath the cover; however, I found it difficult to use and since it laid on the deck most of the time, the strap end broke-down - feel apart. Don't know if it was the heat from the sun or sitting in the rain. None of the other straps showed the same wear which is good. Just got my grill cover. The fit is great, and although it is a little shorter than the original cover, it is not an issue. I liked the soft material lining that protects the top of the grill. Love this grill cover. Great material. I love the extra fasteners so it won't blow off. Very speedy shipping! I have a beefeater grill which originally came with a excellent cover that lasted almost 9 years. I purchased another cover from beefeater and was very disappointed in the cheap vinyl cover I got. It didn't last even 1 year. The new coverstore cover is of very high quality and fits my grill great. The built in handles on the top make for easy removal and the multiple quick release ties on the ends and bottom make it secure even in high winds. It was an excellent buy and would recommend it to anyone. Fits fairly well.... Not to long so you don't have to worry about running it over while you are moving the grill. Disappointed it is not waterproof as when I remove the cover after it rains the top of the grill is wet. the cover arrived and fit beautifully, being very easy to remove and replace. now, 5 months later, the northeast is experiencing a fall severe rainstorm, which only results in a cleaning for the cover, while the barbecue remains dry. so far, the cover is excellent. package was delivered in as expected. the grill cover fits perfectly and is very easy to put on and take off. i like the heavy duty material and the easy to access clips to hold the cover in place. cover fits and looks great. easily adjustable, making securing it on the pit very quick. 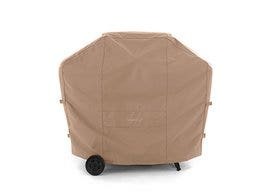 good qualities, has twin vents on sides, straps and good fit..
this is the best bbq cover i have ever had. i have searched high and low for years. plain and simple - the best. higher qualiy than original weber brand cover it replaced. very satisfied. so far so good. needed a grill cover for kitchenaid just a bit larger than the 62x34" width. less expensive ones were tight, and cracked under the sun's heat. hoping this ones holds up longer.  this 66x34" certainly is more beautiful and roomy enough for easy on and off. arrived on schedule. the cover is well constructed, fit perfectly, and the material looks as though it will easily live up to its 7 year predicted lifetime. its simply the best and well worth the money. fits my grill, however, i wish the cover went to the ground. when the sides are clipped closed the cover comes up exposing the bottom cabinet of the grill. overall, quality seems very good. perfect fit and great quality at a reasonable price. Great fit. Weber discontinued the model that I have so I needed a cover. Great fit and am not worried about is blowing off because of the clips on the side and the strap that goes underneath. My Weber should last another 10 years. 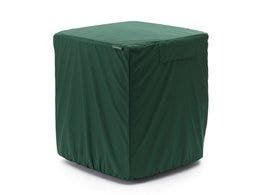 Order a patio table and umbrella cover - was so impressed that I returned and ordered the grill cover. I live in Denver, CO so will see how they weather over the winter! 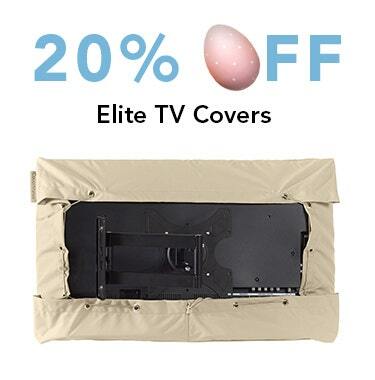 Excellent cover fits perfectly and very easy to put and take off. Measurements are spot on, was afraid it might be too tight as the grill was the exact same measurement as the cover, but it fits perfectly! Lots of straps to keep it from flying off in the wind. A nice touch are the loops on the top to make it easy to remove the cover. Very well made, worth the price. Perfect fit for my Napoleon grill. There is no way that this cover will ever be blown off by the wind. From what I can see, it appears to be excellent quality. While I have only had this cover for a few weeks, the rain just beads off. I hoe it lasts for more than a couple of years. First time using the The Cover Store and the purchase, shipping and most of all fit of the cover was perfect. Would use them again. This cover is great. It arrived very quickly and fits my weber grill very Nicely. It is way better than the vinyl cover that weber sells. It is well constructed and looks great. The only bad thing is if I would have waited a couple of weeks to order I could have gotten 20% off. Just my luck. 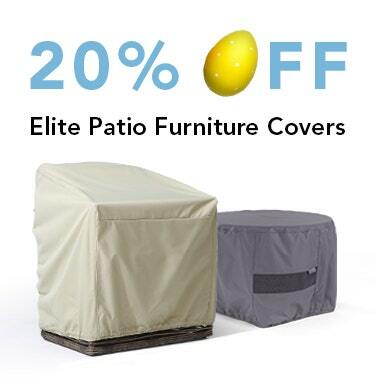 If anyone needs a great grill cover that will last a long time you should get this one now. The cover seems to be of high quality material. 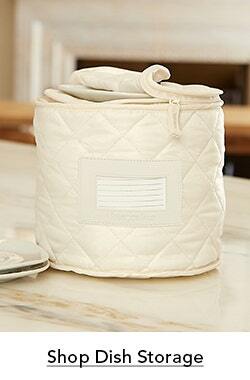 There are plenty of adjustable straps to prevent the cover from blowing off in the wind. We've just had 3 days of wind with 40 mph gusts and no problems. The only reason I didn't give it 5 stars is I don't know how long it will last. Since the original cover wasn't as high quality lasted 4 years, I expect this one will last longer. I live in Connecticut so the cover is exposed to harsh winter weather. Only had a week. So far so good. Order received promptly. The grill cover fits my Summit Grill and the material beads up great in the rain. Nice looking, durable cover. Lots of straps and fasteners to keep it on. We reported a problem with the straps that clip the cover together so as to keep it on the grill. This company sent us a brand new cover with no hassle what-so-ever. The cover was fine, but the straps had deteriorated some due to the sun and UV light decomposition. Thanks much for your guarantee of product satisfaction. I would definitely recommend this company and their products. Grill cover is a perfect fit! Great fit and nice looking cover. So far has worked great-sun rot will be the real test. Excellent quality and such a good design - we love having the handles on the exterior that make removal easy. The fabric looks like it will hold up well to our sun and heat. Cover fits my large grill very nicely. 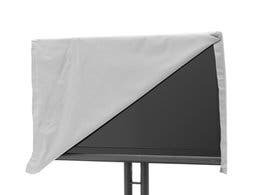 Great features include the side adjustable clamps to keep the cover on during windy days. This is especially important for our grill at the shore, where winds kick up quickly and sustain for longer times.